When the first-ever Porsche Cayenne was launched in 2002, cries of heresay by marque enthusiasts were heard from every quarter. But it didn’t take long for the SUV segment to dominate the luxury marketplace, and today, the big Cayenne’s little brother—the Porsche Macan—is the best-selling model in the manufacturer’s lineup. The new four-door Photo: Courtesy of Porsche AG. 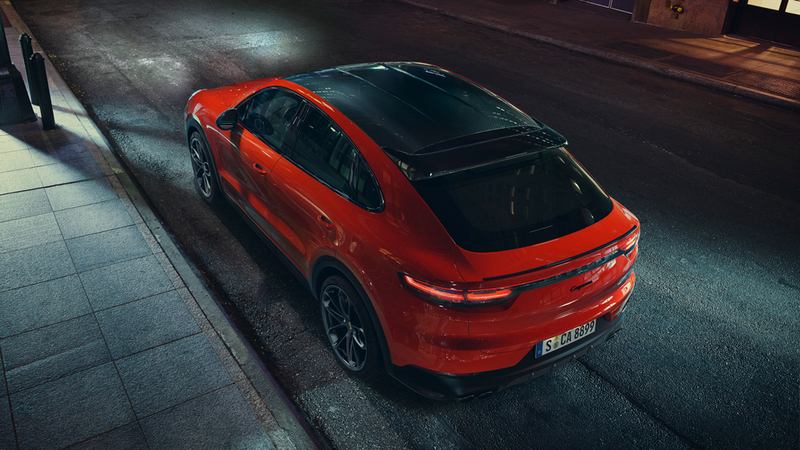 Porsche takes aerodynamics seriously in the new Cayenne Coupe, which appears lower than the Cayenne, too, due in part to a shallower front windshield. Readily apparent is the steeply sloping roofline fitted with an adaptive roof spoiler, in addition to an adaptive rear spoiler. The roof itself is of panoramic glass with an integrated sunshade, or carbon fibre, which is optionally available as part of three lightweight sports packages. The Cayenne Coupe’s panoramic glass roof. Photo: Courtesy of Porsche AG. These packages also include 22-inch GT Design wheels, and interiors that feature Alcantara and carbon-fibre accents, along with stylish seat centers in a classic hounds-tooth pattern called Pepita. Front sport seats are standard, while two rear passengers sit on a bench seat configured as individual seats. 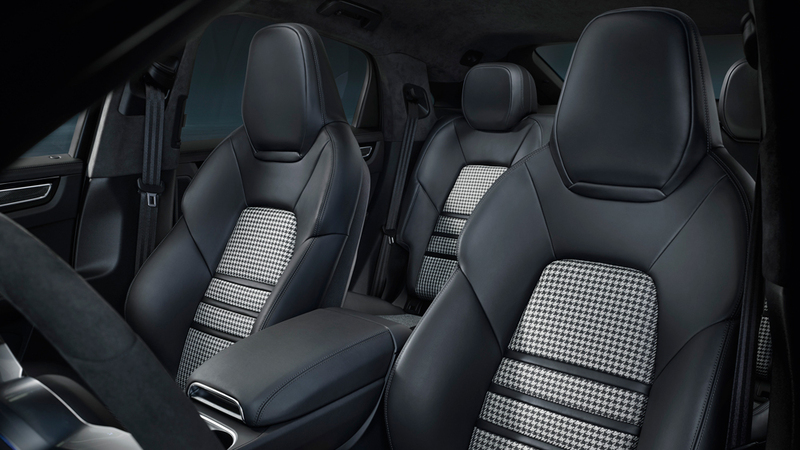 Alternately, comfort rear seats are available as a no-cost option. The interior features Pepita, the classic hounds-tooth pattern. Photo: Courtesy of Porsche AG. 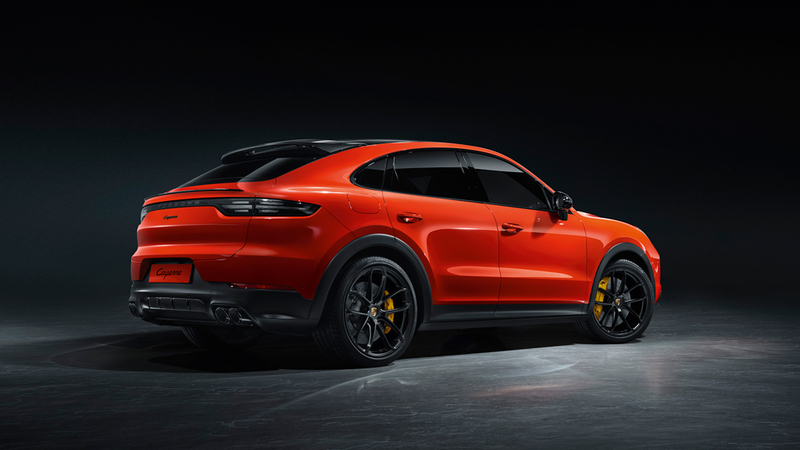 Complementing the sporty stance of the Cayenne Coupe are two engine offerings, both with the Sport Chrono Package as standard, for a little extra zip. The base model is equipped with a 3.0-litre, single-turbo V6 that delivers 335 hp and a respectable 250kW. With the Cayenne Turbo Coupe, things get interesting, as it’s powered by a 4.0-litre, twin-turbo V8 that makes 403kW and an impressive 769Nm torque. No slowpoke, it gets from a standstill to 100km/h in 3.7 seconds, and tops out at 286km/h. 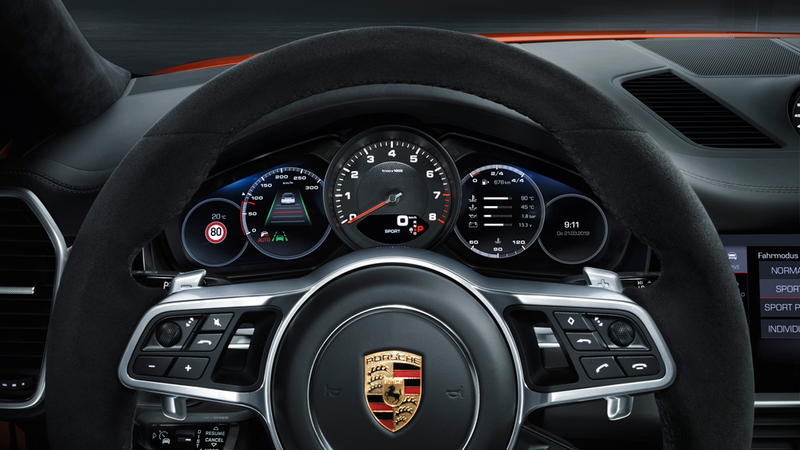 The Driver’s-eye view inside the Cayenne Coupe. Photo: Courtesy of Porsche AG. Could Porsche’s new Cayenne Coupe be its perfect sporty SUV? We’ll have to wait and see when it finally appears in Australian showrooms early next year. Starting prices are $128,400 (plus on-road costs) and $254,000 (plus on-road costs) for the Coupe and Turbo Coupe, respectively.